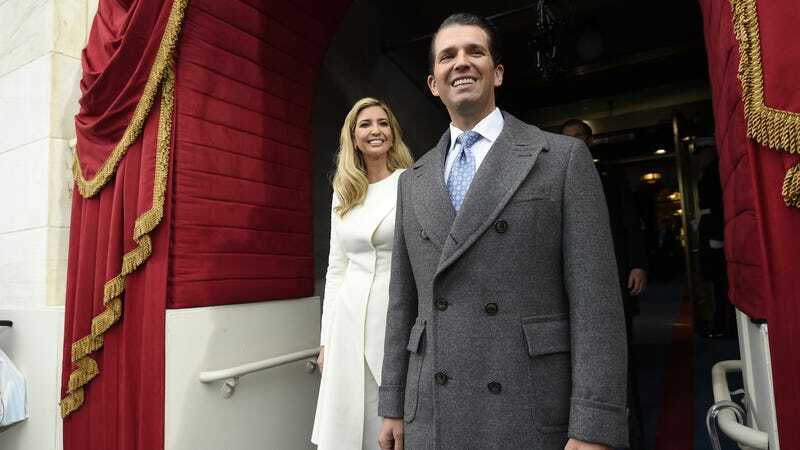 Are Don Jr. and Ivanka Trump Reportedly Involved in Moscow Tower Deal? Crime Time may be fast approaching for the Trump family! On Thursday night, BuzzFeed News reported that, in 2016, Donald Trump privately instructed his personal lawyer, Michael Cohen, to lie to Congress about secret plans to build a Trump Tower in Moscow. This reportedly happened even as Trump repeatedly and publicly denied having any business ties with Russia. Ivanka Trump was slated to manage a spa at the tower and personally recommended an architect. She also instructed Cohen to speak with a Russian athlete who offered “synergy on a government level” to get the Moscow project off the ground, in another aspect of the deal first revealedby BuzzFeed News that later was affirmed by the special counsel’s sentencing memo. Cohen rebuffed the athlete’s proposal, which angered Ivanka Trump, according to emails reviewed by BuzzFeed News. Not so, say BuzzFeed News’ sources. Both Cohen and the Office of Special Counsel refused to comment, but we may learn more on February 7, when Cohen testifies before the House.